MAGICK RIVER: WE CAN ALL BE HEROES! Is Tian Chua a hero? I would say YES! But his career as a politician is only just beginning and he has a lot of learning to do, especially in terms of his approach. Even so, his fearlessness in the face of police violence has inspired many to speak up or march for justice. There are many other heroes I can think of: Lim Guan Eng, the new Chief Minister of Penang, for example, jailed by Mahathir for speaking up on behalf of a schoolgirl gang-banged by the former Chief Minister of Melaka; Tony Pua, who sold his successful IT business to launch his political career as an outspoken blogger and DAP candidate; Sivarasa Rasiah, who has spent the last 20 years defending human rights... it so happens they are all in the Barisan Rakyat. Here, Here (clapping of hands)buy that man a drink, well done, stout fellow, what a brick, cheers (more clapping of hands)en core give that man a teapot! 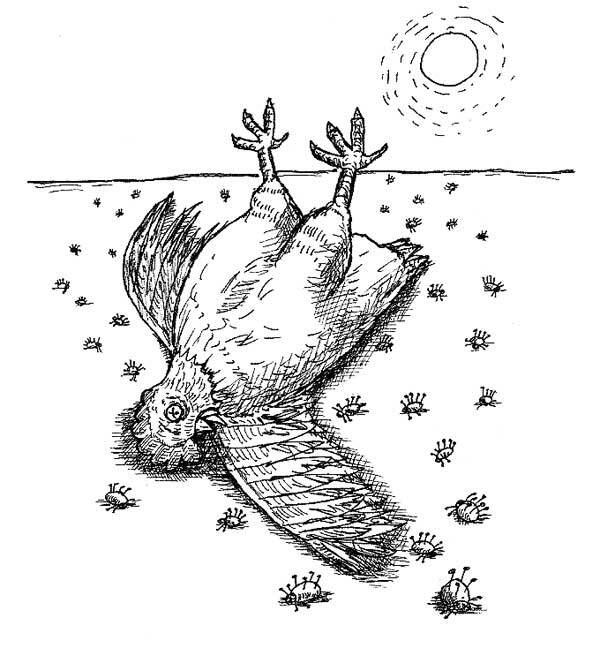 UMNO is not quite dead yet and it must be clobbered until it looses its last breath or it would resurrect and cause this nation more harm. So too with MCA and MIC. All these parties must be buried or cremated. Let no Malaysian lend a hand to any of these parties to regain their strength. All UMNO. MCA and MIC members must flee their sinking ships and seek shelter in BR. Agent Smith, I don't endorse violence but if I were in the vicinity and saw you clobbering and kicking the supine body of Umno, I'd probably just wag my finger at you and say something politically correct like, "Tut! Tut! Not nice to bash somebody who's already down..." - and then quietly hand you a bottle of Red Bull. hear, hear, you have ny vote on this article. cheers! I'm not too sure whether to give DSAI that benefit of a doubt for upholding 'The Universal' values as you have claimed. What Universal Values has he Upholded? By saying that we should give him a chance to become a PM is just like saying we should give NAJIB & KJ a chance to also become PM. Dont go & blindly give your support to 'Politicians' unless they are the likes from PAS whom have been living without taking advantage of the ppl. You should promote Pas leaders instead of DSAI. Wait! Why so many people want BN and its component parties dead and buried? I wish to make it clear that I'm not a BN/UMNO/MCA/MIC/..... supporter. I did my part on 8 March 2008. 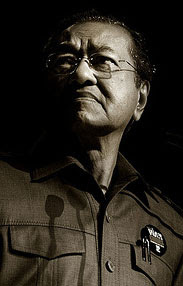 How Malaysia can mature into a better democracy if the 2 parties system never materialized with the demiss of BN? crooked judiciary, corrupt and partisan police force, ineffectual human rights commission, useless anti-corruption agency, the list is endless. We need a man of strong character and charisma to helm the government while all these ills are rectified. Once that is done, just about anybody can become the government as far as I'm concerned - it's not that glamorous a job in any case! people's respect and trust across the board. Let's forget about race and religion, okay? Those are no-win spins. People who are truly enlightened and who carry the divine within their hearts don't go around pointing fingers and banning things. To Anonymous: Anwar promises an accountable, just and responsive government that will take us beyond the treacherous pitfalls of BN's racial politics. Once that is achieved, all of us will naturally uphold universal values like honesty, compassion, and empathy - rather than cling in fear to the old tribal taboos and superstitions that have kept us psychologically enslaved for generations. The worth of an individual is gauged more through his deeds (his contrbutions) than his words. 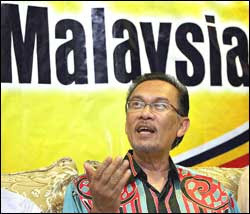 Anwar is a master word-smith, he can hold a crowd at the palms of his hand. Judging from what he had said while he was in the government and what he has been saying, now he is in the opposition, a certain pattern can be discerned. There appears to be a tendency of him saying different things to suit different audiences. This may be a requisite of a good politician but it creates doubt as to his sincerity and principles. 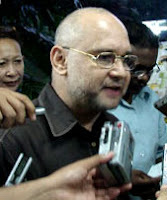 He points out the misdeeds and abuses of the BN, now. But was he not a part of the BN then? Why was he silent, then? Why did he not expose such misdeeds and abuses of positions, then? He is in the right place, at the right time, at this juncture of our history. Whether he is the right person, has yet to be discovered. Hope the rakyat does not have to pay a heavy price, if he happens to be the PM, one day? They say it takes a thief to catch a thief. Perhaps an ex-thief will also do. So may be it takes an UMNO guy to fell an UMNO guy. Re-reading this post, I've realized a serious omission on my part: I forgot to credit a few women who instantly come to mind when I think of heroism! inspired so many to stand up for accountable government, justice, and participatory democracy. A toast to the brave women in our midst! Gosh, Antares, you are MY hero!!! You are the greatest. the deepest, finest, most intelligent human being I've ever met! Errr... you ARE human aren't you? some people say maybe not... maybe you are from another planet! LOL... no prizes for guessing which of these comments is my personal favorite :-p Thank you, I feel so... umm... validated!